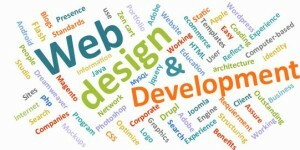 Irrespective of whether you love the job of web designing or you have been forced into the task of web development as a part of the new start-up due to lack of resources, you will always find yourself having to stay in touch with the website technology news and the latest trends within the industry. Every year, there are a number of styles and layouts that become popular among the audience. 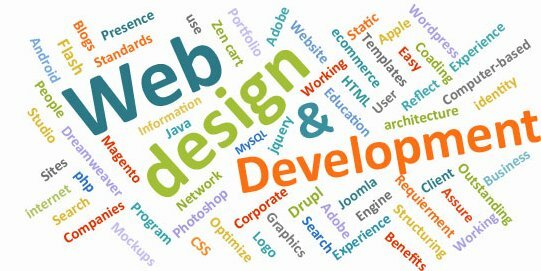 While thinking of web design, you should consider the full aura of possibilities as if done badly, it can push down your website in the search engine results. Here are some trends to watch out for in the website development and design industry in 2015. Keep it large: In 2015, keeping it large will be the single most important principle for the web designers to follow. The homepage should contain just a few words that are overlaid either on a big image or on a video. Sometimes, even the navigation is hidden as a small icon or even removed. The reason behind this trend is completely visual as the goal is to give maximum impact as soon as your users land on your website. This even works well on desktop and mobile devices. The experience of multimedia: This is a concept that is quite dated. The flock of programmers and designers are continuously fighting to introduce some engaging multimedia experiences for their customers. Few days back, Flash was the platform for all kinds of experiments but now it’s the HTML5 that will allow you to create some of the best visual effect on your website. Long scrolling websites: This is perhaps the most famous trend in the early part of this year. Apple had led the way for all the web designers by designing its iPhone 6 page which clearly showed how it is possible to add a lot of information on a page in a compelling and sleek manner. The reason behind this trend becoming popular relates to how people access the internet now. Responsive websites: As its 2015 now, it is pretty apparent that responsive designing is no more a trend but a necessity that needs to be followed by all designers. This will allow your website to shift size seamlessly without compromising its quality, no matter whichever screen size it is being accessed on. If you’re a newbie in the industry of web development and design, make sure you follow the above mentioned trends to increase your web traffic.